Download the Podcast here. Access the Show Notes here. 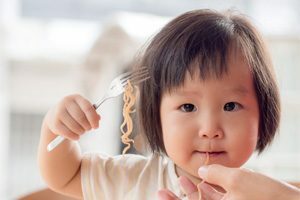 At Holly Springs Feeding and Speech I use a gentle, child centered approach to take away the stress of eating & focus on what is holding your child back from consuming an age appropriate diet. With over 14 years of experience, I have worked in a variety of clinical settings including hospitals, neonatal intensive care, pediatric ICU, outpatient setting, early intervention, and school settings. 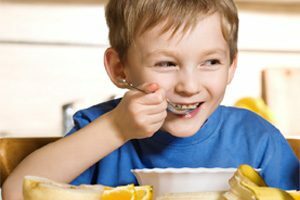 It can be challenging if your child is experiencing feeding or speech difficulties. My ultimate goal is to provide a nurturing setting for my patients in order to develop the skills to succeed. I use a gentle, child centered approach to take away the stress of eating & focus on what is holding your child back from consuming an age appropriate diet. Feeding and swallowing disorders from the most medically complex problems to picky eaters including oral motor, sensory, reflux, behavioral, bottle transition problems, G-tubes, trach, aspiration, coughing/choking/gagging and obstruction. An oral and pharyngeal dysphagia program as well as assistance with diet modification and exercise program will also be provided as needed. I use a play based approach that allows me to develop a rapport with your child while focusing on their speech and language needs. A home program will be developed in order to provide carryover skills from the clinic to help meet your child’s speech and language needs in all environmental settings. What is a Problem Eater? We were so lucky to have found Jill and loved getting the chance to work with her and see the progress our son made. Before we started working with her we were with other therapists who wanted to follow their normal course and start my then 9 month old on pureed food only. Well this is a strong willed child who loves to do things his way. Jill stepped in right after his first birthday, she immediately impressed me with her high energy, enthusiasm and ability to follow my son’s cues. She allowed him to lead with regards to what foods he was willing to try and worked with him from there to help him use his muscles appropriately. He went from getting mad and frustrated, lasting only 15 minutes of a session to being so excited to see Jill and willing to try different techniques. She is very relatable and willing to listen to both the parents and kids to come up with the best plans possible. Soon after starting with her we saw improvements and a willingness to try foods. I am proud to say we graduated and now have an accomplished eater! At around 6 months, we noticed our little boy was not eating normally and failing to properly take in foods at all. Our concerns brought us to a speeth therapy practice where we were fortunate to meet and begin working with Jill. She was very knowledgeable from the beginning in identifying and understanding the challenges our son was facing when it came to eating. Over the course of 6 – 8 months, with Jill’s guidance and the tools she provided, he was able to step by step transition entirely onto whole foods as well as use a sippy cup properly. With the challenges he was facing he would not have been able to transition on his own, but with Jill we received the help we needed in a fun and connected way! It was bittersweet when we graduated from needing her help, but we truly appreciate all of her guidance and her sweet personality along the way! 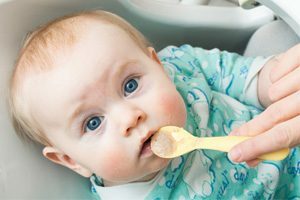 Holly Springs Feeding and Speech PLLC offers Feeding Therapy, Speech Therapy and Lactation services in Holly Springs, Fuquay Varina, Cary, Apex, Raleigh, Morrisville, Willow Springs, Garner, Angier, Durham and Wake Forest.